Back to the hurricane drought? Forecast: Below-average hurricane activity in 2018 | Watts Up With That? 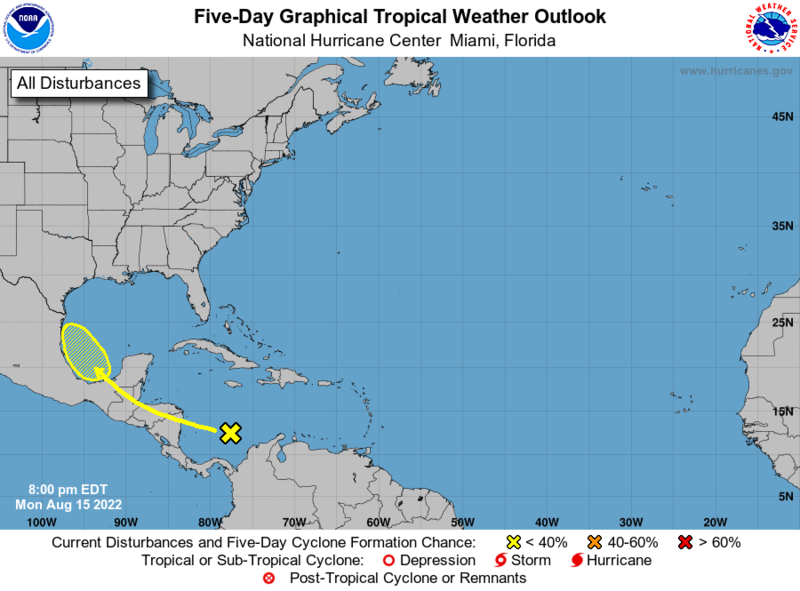 Hurricane season didn’t officially start until June 1, but Subtropical Storm Alberto made an appearance early, causing more than $50 million in damage as it made its way inland and up the coast in late May. Twelve people — seven in Cuba and five in the U.S. — died as Alberto’s fallout included flooding, landslides, tornados and mudslides. The UA forecasting model predicted a below-average number of hurricanes for the 2018 hurricane season, which runs through November 30. UA researchers are predicting four hurricanes, two of which will be major hurricanes, defined as those reaching Category 3, 4 or 5. That forecast falls below the median of seven hurricanes with two majors. The UA prediction is among the lowest of all published forecasts, which include predictions by the National Oceanic and Atmospheric Administration, the London, United Kingdom-based consortium Tropical Storm Risk and other universities. Last year, the UA’s forecast was among the highest — 11 hurricanes with six majors — and came closest to hitting the mark. The 2017 hurricane season ended with 10 hurricanes and six majors, making it the most active since 2005 and the seventh-most active in the NOAA’s historical records dating back to 1851. Last year, Irma (Florida) and Maria (Puerto Rico) were 5s, and Harvey (Texas) and Jose (offshore Caribbean) were 4s. Xubin Zeng, his former graduate student Kyle Davis, and former UA professor Elizabeth Ritchie developed the UA’s hurricane forecasting model, which has proved to be extremely accurate over the last four years. “Since we began issuing our annual hurricane prediction in 2014, our average error is 1.5 hurricanes,” said Zeng, director of the UA’s Climate Dynamics and Hydrometeorology Center, a professor of atmospheric sciences and the Agnes N. Haury Endowed Chair in Environment in the Department of Hydrology and Atmospheric Sciences at the UA. A main factor in this year’s prediction is the low sea surface temperatures over the Atlantic, where little warming occurred from April to May. The sea surface temperatures are the lowest Zeng and his team have seen since 2014, but similar to long-term average temperatures. The Atlantic Multidecadal Oscillation index in May, which describes multidecadal climate variability in the North Atlantic, is zero, which is below the threshold at which El Niño would affect hurricane activity in the UA model. If the 2018 UA hurricane forecast is as accurate as it has been over the last few years, the U.S. can expect smoother sailing as it continues to recover from an estimated $282.16 billion in damages caused last year during one of the most catastrophic hurricane seasons in history. I remember the good old days…when they just named hurricanes. Soon we will be naming thunderstorms. Why not, the Weather Channel has been naming simple snow storms. That is because every snowflake, just like every social justice warrior, is a special snowflake, unique in every way. What was that 1960’s show tune ” And we call the wind Maria”? They named the1962 Ash Wednesday northeaster The Great Atlantic Storm. A very powerful 3 day storm that devastated the east coast from North Carolina to New york. Yes, this was the most devastating storm as far as I can remember destroying homes on barrier islands and retiring boats. 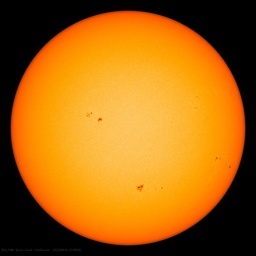 I don’t mind that so much, as new information comes in they should revise the forecast. Remember that the early forecasts were using predicted future weather so as that weather turns out different than what they thought revision is necessary based the actual conditions. I Solemnly Predict that this year’s Hurricane Season will be slightly below average. Unless it turns out to be slightly above average, and let me add that there is a moderately average chance of that happening. Or not. But about the ferocity index? Won’t the few hurricanes that do occur be off the charts? Or the red-vs-blue “concern” index. One that strikes Texas/Louisiana isn’t of much concern (they deserve it), but if it struck DC, New York or Boston….. So in response the advanced, peer-reviewed, advocacy scare model says to move along to ice scare stories and rising seas without mention of the interglacial mm-scale trend. Changes in SST pattern changes hurrican frequency. It’s obviously the fault of us humans, how will we cope without hurricanes killing all those folks the greens don’t want? Overpopulation will get completely out of control. Quick, Quick, sequester as much CO2 as you can. The greens are pledging to hold their breath until this crisis is averted! Don’t let the greens die from the humiliation of it all. The poor souls, all those slimy bodies flapping around on the ground desperate for a lungful of life giving CO2! When and why did we become concerned about a lack of hurricanes and Arctic Ice? And when and why did we become worried that polar bears and sharks are becoming endangered? What’s next? 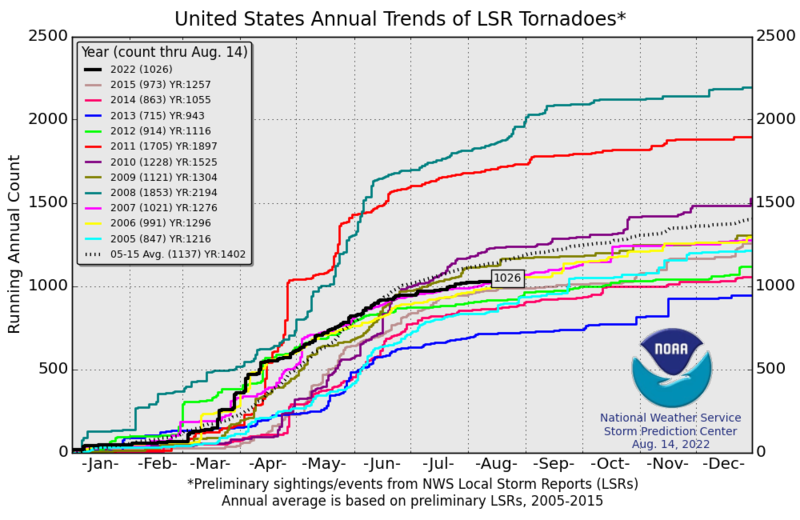 Will we worry that there are too few tornadoes? Will people be concerned that there are too few cockroaches and mosquitoes? And right after this was posted, queue up the yellow X in the gulf….. Doh! Aggregated seasonal prognostications from varied sources. Now including CFAN. Heavy rainfall along the Gulf Coast in July! It’s only catastrophic because buildings aren’t built to withstand the winds. It’s cheaper to build and rebuild flimsy wooden shacks than the steel and block construction such an environment demands. It’s not a difficult calculus, but apparently people have incredibly short (perhaps as little as two or three days?) memories. In NJ , it is the flooding, not wind that retires housing. Today replacement homes are built on piling raised above grade and designed to handle wind w/o steel and block construction, by current codes. Wind may be a factor in Florida but not NJ. Early season (or even pre-season) storms are not indicative of an active season, esp. with hybrid storms like Alberto. The UA forecasting model predicted a below-average number of hurricanes for the 2018 hurricane season, which runs through November 30. If hurricane forecasts are to be used mainly to support political activists’ goals, then the optimal strategy would be to forecast zero hurricanes. Then every hurricane that occurs would automatically be “worse than we thought”. Perhaps a better strategy would be to ‘forecast’ “minus three hurricanes”. Then, if zero eventuate – it is, indeed, ‘MUCH Worse than anyone thought’!! Only slightly cynical, honest, guv! Ive been drawing attention to a change in ENSO since prior to the last El Nino when extratropical “hot blobs”were exacerbating the warming. Because of the replacement of “hot blobs” with big cold blobs, Ive predicted a continued cooling, even with La Nina conditions failing to develop. It would appear that for the last few years global temperatures have decoupled from ENSO conditions somewhat. The mass of cold water near the equator in the Pacific has come from cold blob water bleeding equatorward rather than much upwelling in the eastern Pacific. With all this cold water, even in the Gulf of Mexico, cold water off the west African coast, and in the North Atlantic, there doesnt seem enough energy to feed a strong hurricane season. UA agrees with this latter condition. “Since we began issuing our annual hurricane prediction in 2014, our average error is 1.5 hurricanes,” said Zeng, director..
How much, I wonder, could I get paid for issuing a prediction for the coming hurricane season? We had a 12 year drought in land fall8ng Atlantuc canes. Did the predict this too? I don’t think so. UA researchers are predicting four hurricanes, two of which will be major hurricanes, defined as those reaching Category 3, 4 or 5. That forecast falls below the median of seven hurricanes with two majors. So major hurricanes will make up 50% of the season instead of the median of 29%. So even a below average season is above median. Here in Australia I’ve seen the left now saying they predicted a decrease in hurricane/cyclone numbers all along. Our Bureau of Meteorology released data showing the yearly numbers of cyclones have decreased over the past 40 or so years and they’re saying: “Look! We got it right!”. Related: Through June 2018 so far, the USA has had the fewest tornadoes for the period January through June of any year since 2005.